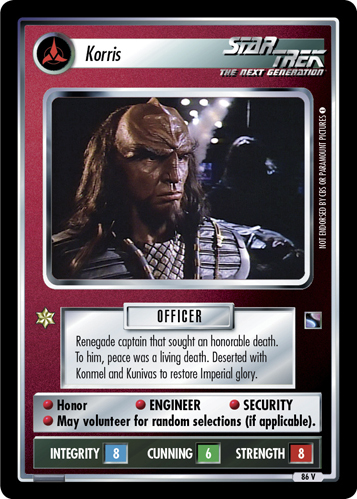 Follower of Kahless. 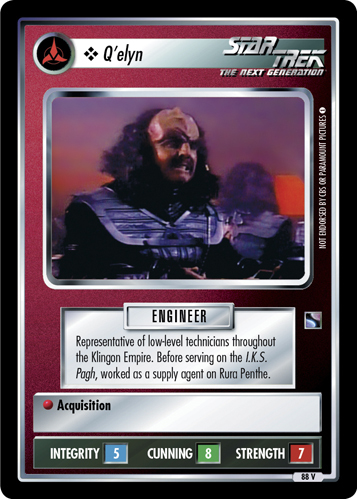 Representative of young male Klingons eager to study the teachings of Kahless at the sacred Boreth monestary. 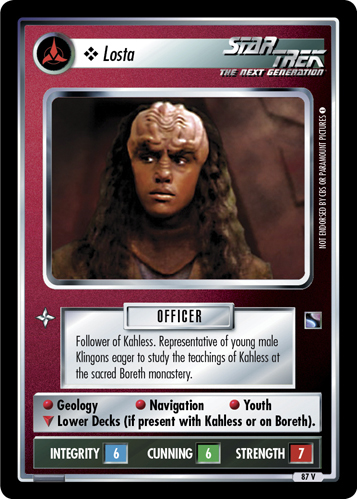 • Geology • Navigation • Youth ∇ Lower Decks (if present with Kahless or on Boreth).